In 2009, I was invited to tour a Vocational Training Center in the village of Gbodjomé, Togo where girls are taught to dress hair and sew. This placard welcomes visitors to the school, while livestock roam around the village. As I approached the school, girls were sewing on the front porch. The village chief showed me to his office where he explained that the town planned to build a room on the back of the building for the sewing students so that they could still work when it rained. Girls and young women are trained in a profession by which they can support their families. 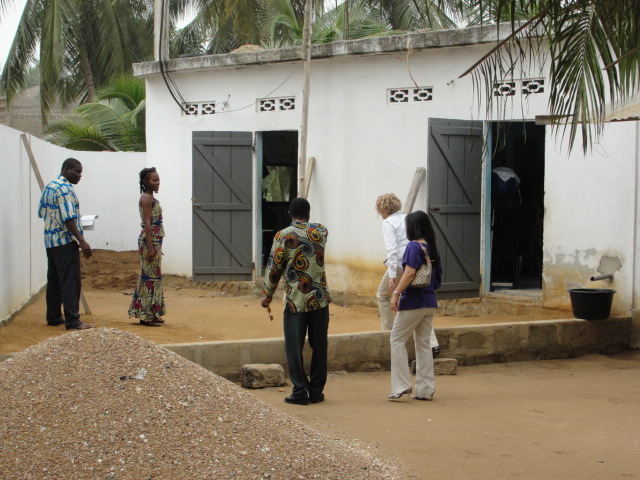 The tuition for the two-year program is about $50.00, far too expensive for many Togolese families. I as introduced to the sewing students on the porch. They used old-fashioned pedal machines – I didn’t even know those were still made. I was escorted to the back of the building and shown the spot where the room would be added for the sewing students. 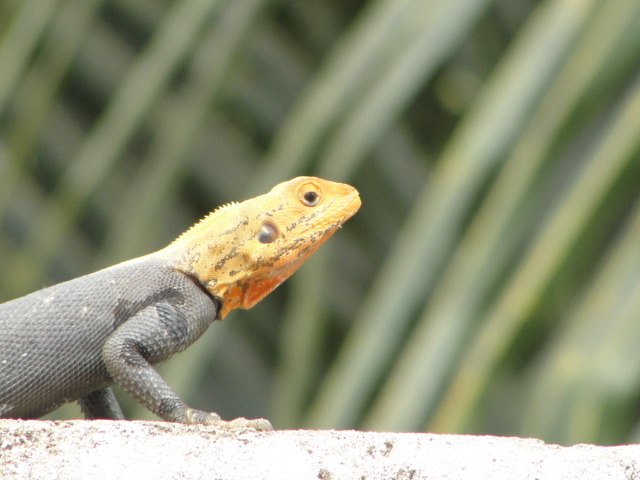 To the Togolese, this creature is not an unusual sight; it is just a lizard. I thought it was strange that they didn’t know what kind of lizard it was until I thought about our green lizards back home. If someone asked me what kind of lizard that was, I wouldn’t know. 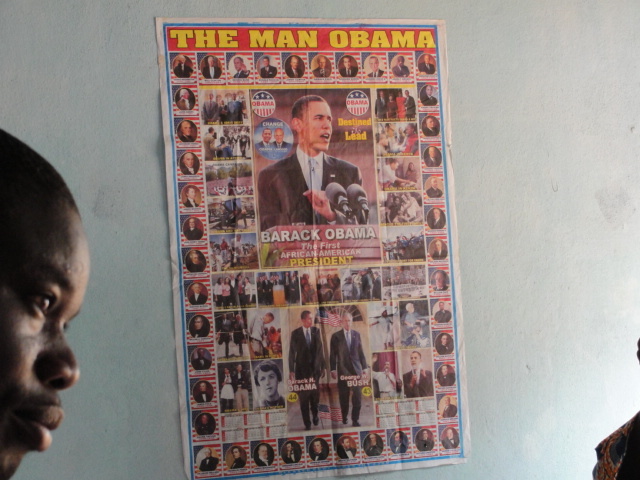 Next, the chief took me to his pride and joy – Obama Beach, named after, of course, our forty-fourth president. The chief had big plans for this beach as well: bungalows for vacation rentals – complete with their own toilets, which is not always a given in Togo, and a picnic area for beach-goers. Some children were already enjoying this village’s hidden jewel. What a rare treat – to meet some awesome people who truly want to offer opportunites to the next generation. Looking forward to hearing about the sewing machine and school. How did you end up being invited there? I was invited through an organization that helps those who help themselves, and this little town is definitely trying to educate their girls so that they can support themselves.